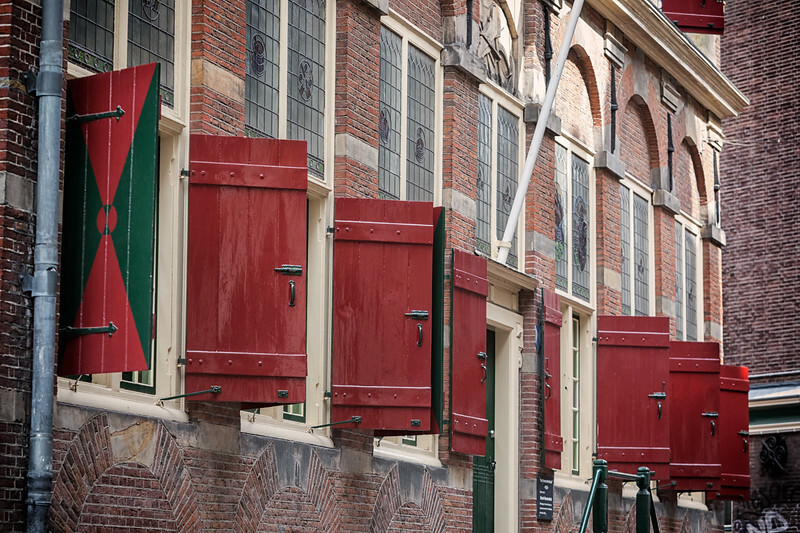 A waag is a public weigh house that merchants used to weigh their goods (fish, grain, flour, etc.). Many waags were located by rivers or canals during the height of trade in the 17th century. This waag is near the grain commerce center known as Korenbeurs.